This is going to be an exhausting month. But, at last, some changes are approaching here, starting with the fact that we are leaving this flat. It has always been difficult for me to leave houses, to move, and above all, to close mental drawers despite of being excited because we are finally moving on. I have left flats with great people and memories lived there, I have left flats leaving big friendships and relationships behind, and now, I leave this flat, in the center of Barcelona, in the middle of the Eixampe, just a pair of streets from Casa Batlló and la Pedrera, just five minutes from Plaça Catalunya. This centenary flat with typical and beautiful hydralic floor which has been my place during all these months. It is said that we should often do something for the first time; this month I am going to be lots of things for the last time. But moving, despite of being exhausting, can also bring some other great consecuences, such as farewell dinners. 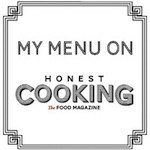 This recipe is the one I used for the first of these dinners. It is an easy recipe, as always. 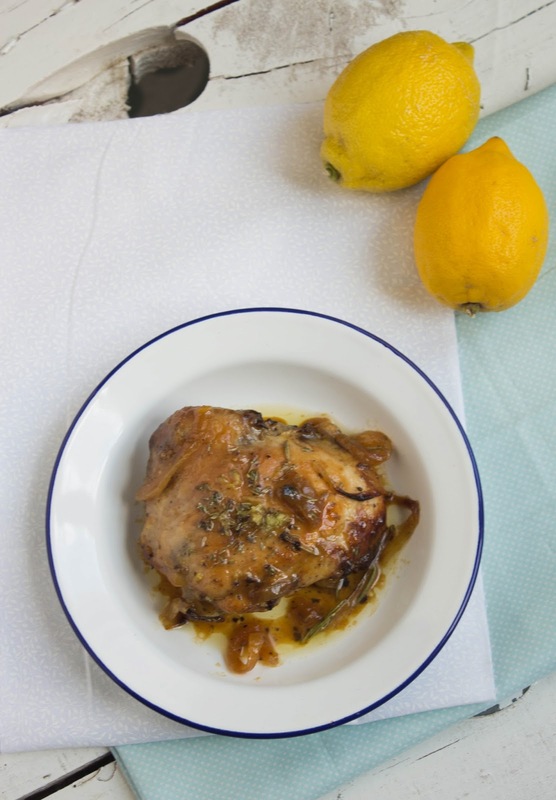 The honey and lemon juice give the plate a mediterranean character and a wonderful smell in the kitchen. You only have to turn on the oven, in one hour, you'll be enjoying this plate. Heat the honey in the microwave till liquefied, add the lemon juice and combine. Lay the chicken in a roasting tin, with salt and pepper and a generous splash of olive oil, try not to pile them up so they all can be cooked perfectly. 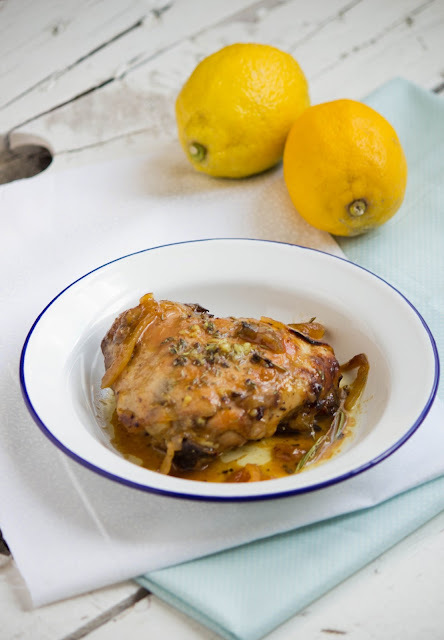 Drizzle the chicken with the lemon juice and the honey to coat evenly all the ingredients. Add the garlic, rosemary and thyme, cover with plastic wrap and let it rest in the fridge for some hours, to integrate all the flavours. Preheat the oven to 200º . Before baking it, add the potatoes and onion to the chicken. Roast for 1 hour, turning over the chicken, until it is cooked and golden brown.